What if my (Android owning) customers don't have Google Pay? 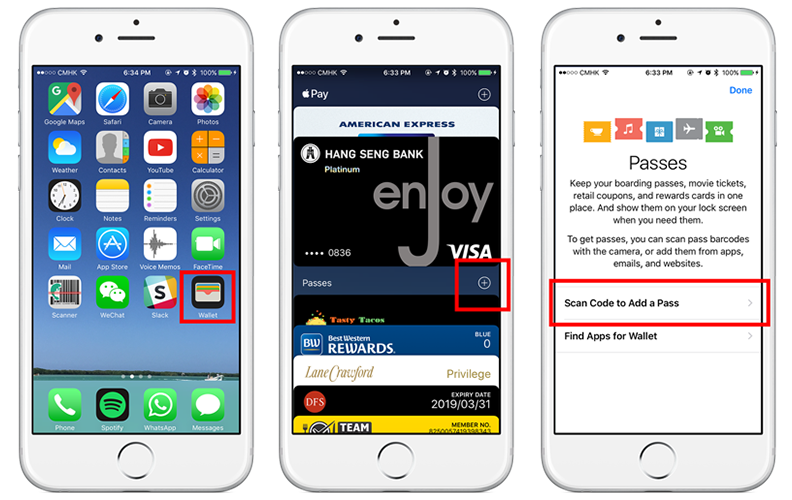 Learn how to save stamp cards to Apple Wallet by watching this video or following the instructions below. The camera app in iOS 11 now supports scanning of QR codes! No need for 3rd party scanner apps anymore. Open your camera app and point to the QR code. Tap on the link to open the page in Safari. 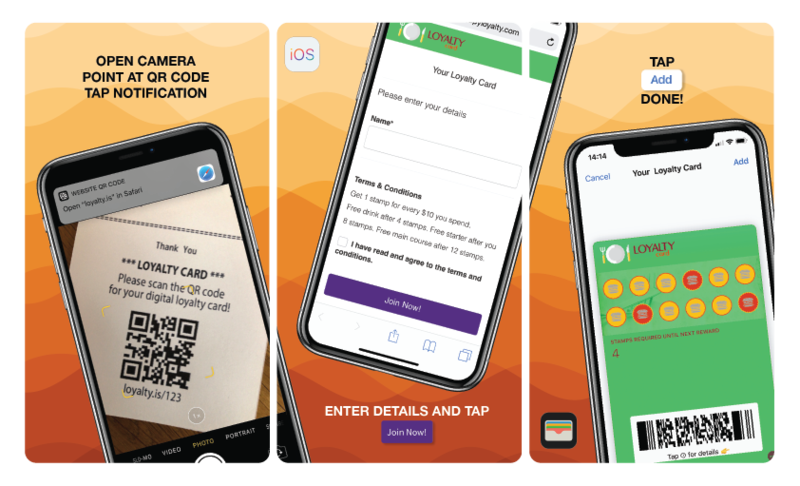 Fill in your details, submit, and tap 'Add' to save your loyalty card to Apple Wallet. 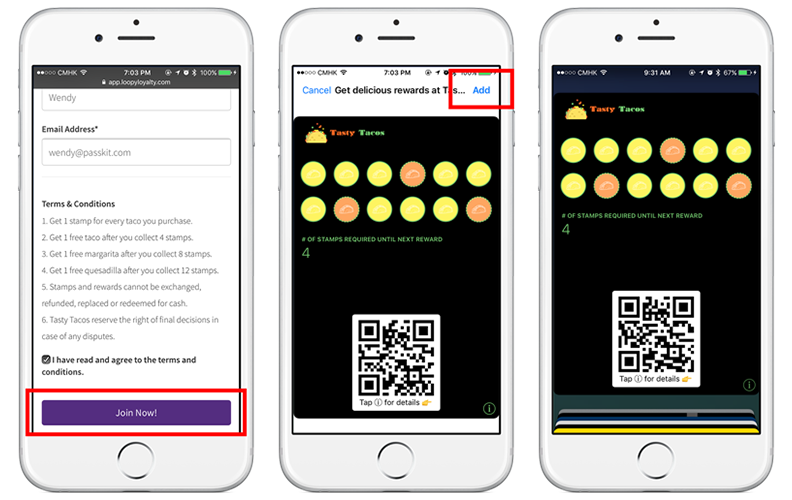 Type your card URL in your Safari or scan the barcode with a 2D barcode scanner app (e.g. Manatee Works Barcode Scanner) and launch the URL in Safari. Fill in the required details and tap the 'Join Now' button at the bottom. Then tap the 'Add' button on the top right of your screen. Your card will then be saved to Apple Wallet. 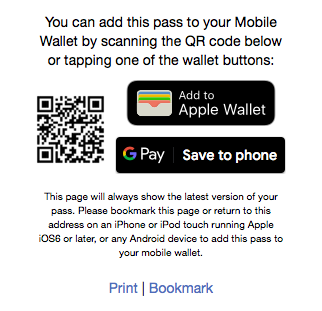 If you are using Safari, simply click on the 'Add to Apple Wallet' button, then click on 'Add to Wallet' in the popup. This will automatically save your card to Apple Wallet via iCloud. If you're not using Safari, take out your iPhone and open Wallet. Tap on the 'Plus' icon as shown below. Then tap on 'Scan Code to Add a Pass'. 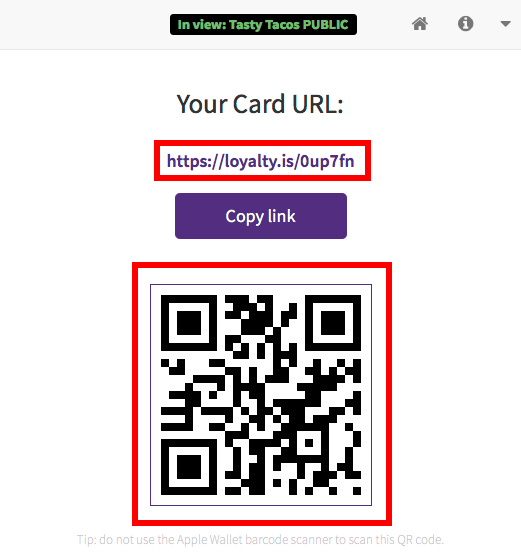 Then scan the QR code underneath your card preview and your card will be added to Apple Wallet.